The vast majority of ocular eye dryness is a condition caused by malfunctioning oil glands in the eyelids. A poorly formed oil layer is excreted onto the surface of the eye, allowing for evaporation of the underlying tear layer, causing damage to the ocular surface. We typically call this “Dry Eye”, but the more appropriate medical term is Keratoconjunctivitis Sicca, commonly referred to as K. Sicca. There are a multitude of treatments for this very common age related condition including artificial tears, lubricants such as gels and ointments, tear duct plugs, topical steroid eye drops and amniotic stem cell allografts. Initial treatment is typically conservative with specific types of artificial tears. It should be noted that all OTC tear agents are not the same, and a few far outperform the majority of brands. We will be specific in our recommendations for your condition, depending on the cause. Following is a description of the newest treatment modality, and a significant contributor and cutting edge technology in the treatment of advanced ocular surface disease. Plan to see us if you've had prolonged signs and symptoms of dry eyes, including red, irritated, tired or painful eyes. 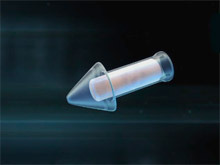 Punctal plugs are tiny, biocompatible devices that can be inserted into tear ducts to block drainage. This increases the eye's tear film and surface moisture to help relieve certain forms of dry eyes. Also known as punctum plugs, lacrimal plugs or occluders, these devices often are no larger than a grain of rice. Punctal plugs usually are considered when non-prescription or prescription eye drops fail to relieve your dry eye condition. You can see in this anatomical slideshow three different shapes of punctal plugs. Images: Oasis Medical, Inc.
Semi-permanent, typically made of long-lasting materials such as silicone. Dis-solvable, made of materials such as collagen that the body eventually absorbs. Temporary or dis-solvable punctal plugs usually last from a few days to as long as several months. These types of plugs would be used in circumstances such as preventing dry eyes after LASIK, if you choose to have refractive surgery. Dis-solvable, temporary punctal plugs sometimes are used to determine if the treatment works for your dry eye condition. If so, then semi-permanent punctal plugs might be considered. How Are Punctal Plugs Inserted in Tear Ducts? Depending on the type of punctal plug selected, your eye doctor first may use a special instrument to measure the size of your tear duct openings (puncta). This helps determine the proper size of the punctal plug needed to block drainage within the channel and to keep it securely in place. Many eye doctors need only a lighted, close-up examination of your eye to determine the size and type of punctal plug you need. In some cases, a one-size-fits-all style of punctal plug may be used. To prepare you for the procedure, some eye doctors use a local anesthetic before inserting the punctal plug. In many cases, no anesthetic is needed. Each eyelid has one punctum, located at its inner margin near the nose. Punctal plugs can be inserted in the puncta of the lower lids, the upper lids or both. An instrument may be used to dilate the tear duct opening for easier insertion. Some punctal plugs are inserted just into the puncta so they still can be seen and mechanically removed if necessary. Other punctal plugs are inserted deeper into the canaliculus, where they are out of sight. These types of tear duct plugs — technically called intracanalicular plugs — do not protrude from the punctum. They are not seen or felt, and automatically conform to the shape of the cavity. In the uncommon case where removal is needed, intracanalicular plugs are extracted by flushing them out. Other than slight initial discomfort, you should not feel the punctal plug once it is in place. Immediately after the procedure, you should be able to drive yourself home and resume normal activities.